How to Make Homemade Wine Stronger. There is something really cool about making your own wine from scratch. But if you thought you needed an entire vineyard, you're wrong. 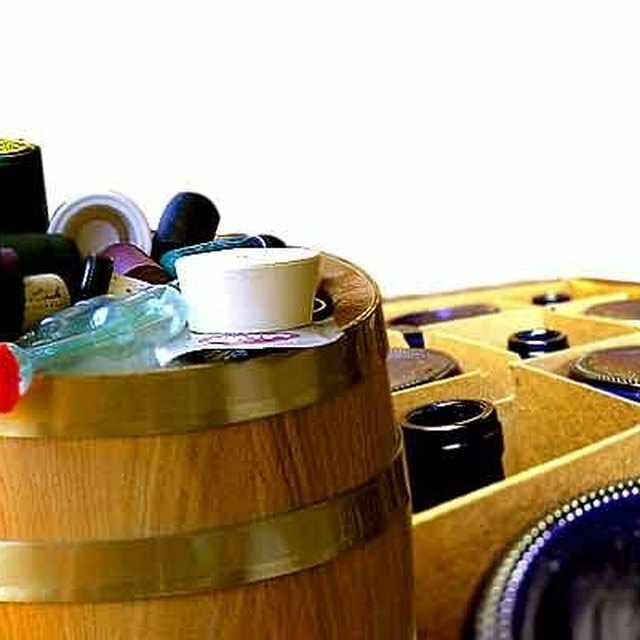 Most gourmet recipe shops sell wine making kits. And with a little work to the recipe, you can make the wine a bit stronger. Here's how. Assemble your components for your wine mixture. Each recipe is slightly different, dependant on just what kind you are making. Assemble the grape juice, yeast, sugar and other flavorful additives as directed. Add more sugar to the wine recipe. The sugar of the recipe is what creates the alcohol. So simply stated, adding more sugar will give you a higher alcoholic content. Allow the homemade wine recipe to ferment for the required amount of time as directed by the recipe. There's no need to extend fermentation time. Then taste and enjoy the homemade wine you just made stronger. Don't go overboard with trying to make wine stronger. Remember you are trying to create a wine, not a syrupy sweet hard alcohol. Too much sugar will also thicken the wine. Remember that wine yeast is different from beer yeast. Be sure to use the correct one for your recipe. What Is a Substitute for Cherry Liqueur?